I do not, in fact, play the violin. But the history of this sleepy city of 70,000 on the Po River, just over an hour south of Milan by train, is inexorably intertwined with violins and other stringed instruments. At a dinner during my first weekend in town, half a lifetime ago, I sat next to a man named Fulvio, who told me he made violins for a living. He’d gone to school at age 13 to learn violin-making and then had apprenticed for years, and now he had his own violin workshop, where he made stringed instruments by hand for musicians and collectors around the world. “This city is the birthplace of Stradivarius,” he said, and explained that there were dozens of luthiers — makers of stringed instruments — just like him working in the city center. Fulvio invited me into his workshop, where over several weeks and months he shaped, carved, chiseled, sanded and varnished very special pieces of wood into instruments that he sold for tens of thousands of dollars. 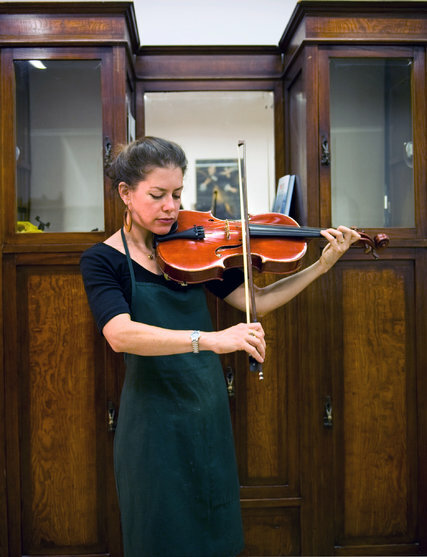 No other place in the world made violins like Cremona, Fulvio said. The Cremonese method — one that dates back to Andrea Amati, “father of the violin” in the 16th century; to the Guarneri family in the 17th and 18th centuries; and of course to Stradivarius — takes longer and is more difficult than other methods, and creates one-of-a-kind instruments. More than 140 liutaio currently ply their trade in the city. Wandering the narrow streets around the Piazza del Comune, you can watch dozens of violinmakers at their workbenches through their storefront windows. If they’re not busy or if they’re in the right mood, some of them may wave you inside to have a look. That makes Cremona a must-visit for music lovers. But it’s also a perfect overnight side trip from Milan, especially appealing during the Milan Expo, which runs through October. 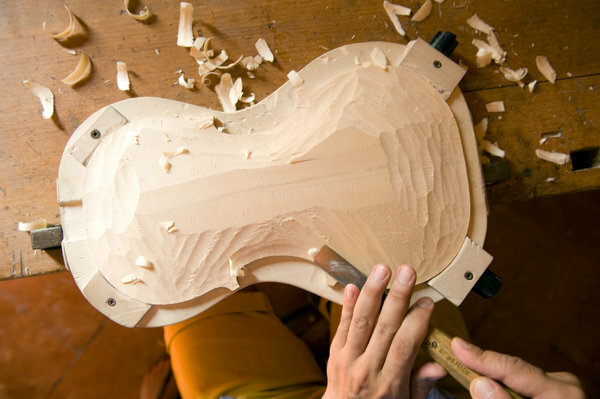 This fall, in fact, Cremona will be about as buzzing as it will ever get: The 14th Triennale violin-making competition, essentially the Olympics of stringed instruments, takes place Sept. 4 to Oct. 11, overlapping the city’s annual Stradivari Festival. But even those without a passion for stringed instruments can look forward to some of the best food in northern Italy, impressive architecture and a city that’s almost completely off the tourism radar. In her 1954 book “The Surprise of Cremona,” Edith Templeton calls the city a “strange provincial town” (and, oddly, does not mention a word about violins). She recounts a meeting with the editor of the local newspaper who tells her, “There is nothing interesting in Cremona … nothing, nothing, nothing.” Ms. Templeton actually ends up enjoying Cremona, eats wells and enjoys the architecture. “It is a wonderful relief to come to a town where there is no first-class hotel,” she writes. While there are certainly a couple of nice hotels to stay in these days, I couldn’t agree more with the sentiment: Cremona’s virtue lies in how far off the tourist path it remains. Decades after Ms. Templeton’s visit, I’ve found a similar self-deprecating attitude among the Cremonese. Since they don’t like to boast, allow me to: Cremona has one of the most beautiful piazzas in northern Italy. Twelve streets converge on the haunting Piazza del Comune, marked by its majestic 14th-century, 367-foot-tall bell tower, called simply the Torrazzo (for which Cremona’s famed torrone nougat is named). The Gothic palazzi and the Romanesque cathedral cut dramatic shadows against the arcades and the octagonal 12th-century baptistery, an architectural gem. The 268-year-old Teatro Ponchielli (where Mozart once performed) has one of the largest stages in Italy and is still a magnet for international performances. The sprawling markets in the Piazza Stradivari and Piazza Pace are as lively as any in Lombardy. And then there’s the food. Mr. Batali also wrote that a visit to Cremona is “absolutely essential to the gastrovoyager.” Cremona’s location at the border of Lombardy and Emilia-Romagna brings influences from both: charcuterie like cotecchino and salame; grana padana cheese; stuffed pastas specialties like marubini and tortelli di zucca; and the famed Mostarda di Cremona, a sweet and gently spiced fruit preserve, served with the classic stew called bollito misto. Ugo Grill, which closely guards the recipe for its mayonnaise, has served the tramezzini gold standard for decades. But there are new challengers, like Tramezzo 1925, where I ate a sandwich with fresh-sliced, homemade prosciutto cotto and artichokes that was transcendent. But it would be folly to visit Cremona and not revel in its music heritage. In 2012, Unesco decreed that traditional violin craftsmanship in Cremona deserved protection on its list of Intangible Cultural Heritage of Humanity. The following year, the gorgeous, high-tech Museo del Violino opened in the city center, financed by more than 10 million euros from the local steel magnate Giovanni Arvedi. I took the museum’s audio tour (available in several languages), which offers fascinating details about the origins of the violin, the Cremona school of violin-making, and the many esoteric steps in the process of creating Cremonese-style violins, violas and cellos. 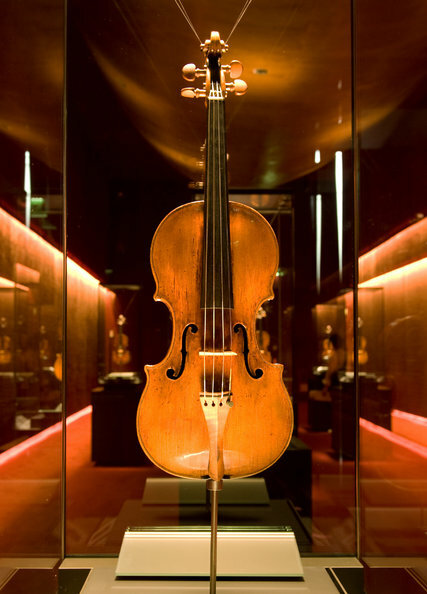 But then I arrived in a darkened space entitled “The Treasure Box,” where spotlights illuminated the dozen or so most important stringed instruments in Europe, including Antonio Stradivari’s 1715 “Il Cremonese” violin and others by Guarneri and Amati. At that point, my audio guide became strangely at a loss for words. “You are standing before the masterpieces of classic violin-making,” the narrator said. “We shall add nothing else, but leave you to the contemplation of this musical treasure chest.” In fact, visitors can go further, as the instruments are regularly played during small recitals that are open to the public, generally held at noon several days each week. In an adjoining room hung my favorite exhibition, a collection of contemporary instruments that have won various Triennale awards over the years. Type in a corresponding number on the audio guide and you can listen to each instrument being played. I particularly enjoyed listening to a viola numbered 813, made by Dante Fulvio Lazzari — the same Fulvio who sat next to me at dinner so many years before. After a few tramezzini pit stops, I found myself inside a more intimate workshop, tucked around the corner from the Torrazzo. When Yael Rosenblum greeted me, she offered to wash her hands, which were covered with black shavings. “This is ebony. You don’t want this on your hands,” she said. Sixteen years ago, Ms. Rosenblum gave up a career as a professional violinist in Israel and moved to Cremona to study violin-making. Professionals around the world play her violins, violas and cellos; one of her first instruments is played regularly at La Scala. I told Ms. Rosenblum about my long relationship with Cremona, and I asked her the question many people have asked me: Why Cremona? Besides the violins, how did she find living in Cremona? Museo del Violino, Piazza Marconi; 39-0372-080-809; museodelviolino.org/en. Ask about recital dates and concerts in the auditorium. Entrance, 10 euros, or about $11 at $1.11 to the euro. Museo Civico “Ala Ponzone,” Via Ugolani Dati 4; 39-0372-407-269; musei.comune.cremona.it. The city museum boasts a priceless collection of stringed instruments. Entrance, 7 euros. Academia Cremonensis, Via Platina 66; 39-0372-808-970; academiacremonensis.it/en. This professional violin and bow-making school is open to small groups by appointment. Casa Stradivari, Corso Garibaldi 57; 39-0347-597-6856; stradivariazioni.com. The former home of young Stradivarius is run by an association of violin-makers who often put on exhibitions. A limited number of luthiers offer formal demonstrations. Among them are Philippe Devanneaux (Via Sicardo 12; cremona@violini.net; by appointment only, 25 euros per person) and Yael Rosenblum (Vicolo Pertusio 8A; yaelitaly@yahoo.com; by appointment only, 50 euros per person). Osteria La Sosta, Via Sicardo 9; 39-0372-456656; osterialasosta.it. The place to try local specialties like marubini, tortelli di zucca and gnocchi vecchia Cremona. Le Scuderia, Via Plasio 21; 39-0372-21408; lescuderiecremona.com. Cool, modern vibe in a building with arches and columns that once served as a stable for carriage horses. Great value for lunch. Osteria del Melograno, Via Beltrami 5; 39-0372-31863 osteriadelmelograno.it. Great spot in the historic center for risotto, as well as tortelli stuffed with the local torrone nougat (above). Chiave di Bacco, Piazza Guglielmo Marconi, 5; 39-0372-808850. Inside the Museo del Violino, this is a great spot for aperitivi or lunch. Also visit its sister pizzeria Note di Gusto (Via Bell’ Aspa 4/A; 39-0372-808-911), across the square, for excellent artisan pizza. Ugo Grill, Via Gramsci Antonio 13; 39-0372-20354, serves tramezzini (above).